1). 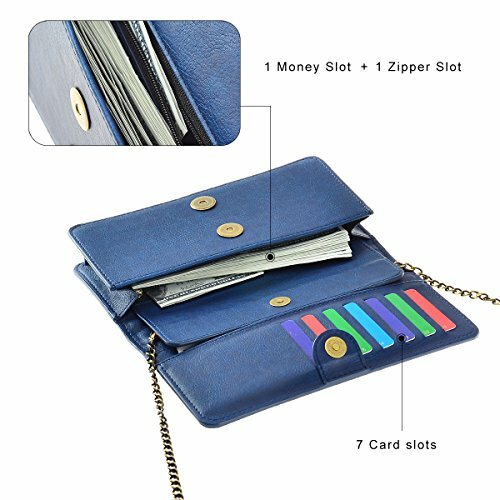 Large Capacity: 7 card slots, 1 zipper pocket, 1 cash holder, (there is a room for your cell phone). large capacity helps you to tidy stuffs together easily. 2). 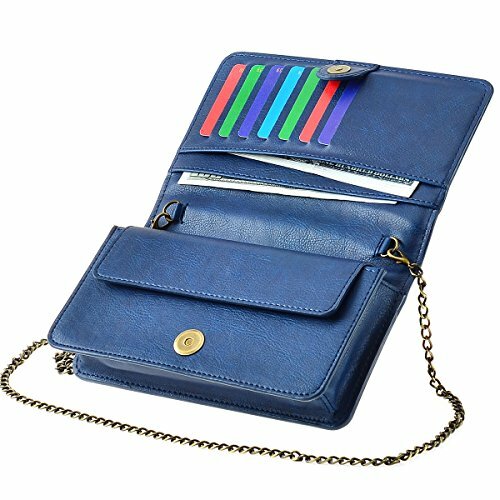 High Quality: Premium PU leather, durable PU leather and fabric lining, and heavy-duty zipper, all these parts guarantee the quality of the wallet. 3). 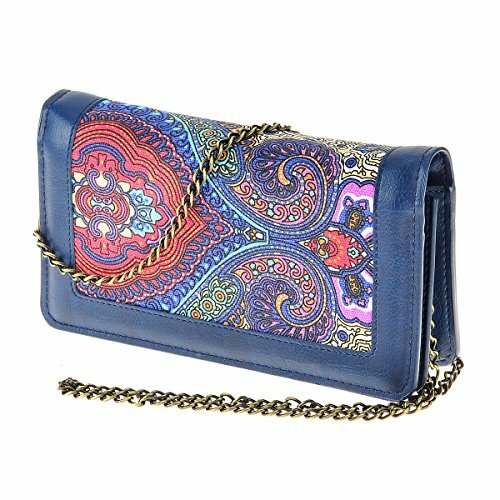 There is a metal chain of the wallet, which is more convenient for customers to carry this bag. 4). 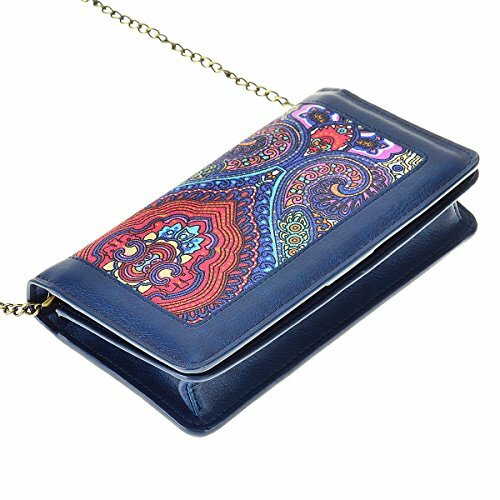 Classic Design: The design is classic which means the wallet can be used in business or in everyday life. And the classic design is eternal, you don’t need to worry the design will be out of style. 5). 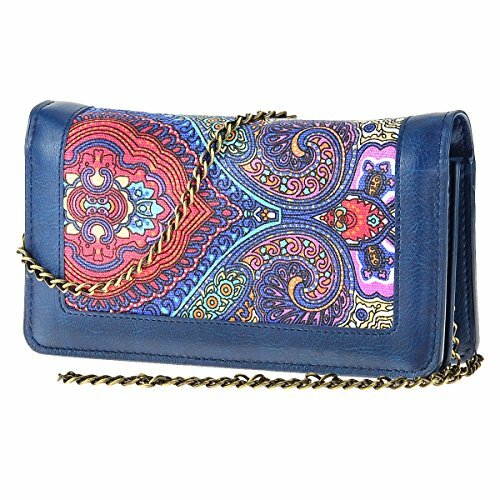 Size dimensions: 19.5*11.0*7.5 cm/7.4*4.3*2.9inch (can hold iphone5.5inch phones). 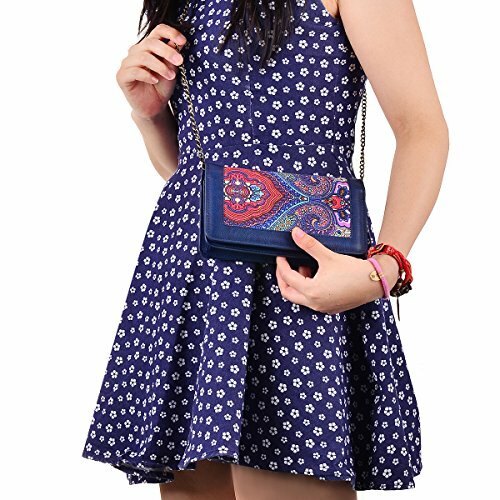 Vintage women’s shoulder bag with chain, lovely and convenient, large capacity can contain your different types of cards, your cash, coins, receipts or other small stuffs. Kindly note: The actual item may slightly vary from the above images due different computer screens. Customer service: Please feel free to contact us if you have any problem while using our products, we will do our best to meet your expectations.